What is a contested convention – and what would one mean for the GOP? The possibility that the Republican primary race could end in a contested convention is a journalist’s dream and one that the media has speculated on during every electoral cycle in recent memory. It was entertaining for those who cover politics as sport to imagine the fight between Barack Obama and Hillary Clinton could still be unresolved by the time Democrats arrived in Denver in 2008, or the Republican candidate in 2012, Mitt Romney, being swamped on the Tampa convention floor by his multiple lesser challengers. In truth, it was never likely in either case. But 2016 may be the year that the dream is finally realised at the Republican Party convention in Cleveland, Ohio, in July. There is no precedent for this in the modern era. Since candidates began to be chosen through voter participation in primaries in the 1970s, the process of nominating presidential candidates at the formal convention has almost always been straightforward. The presumptive nominee arrives with a majority of delegates already pledged thanks to victories in the state-by-state contests. The first ballot among delegates then confirms their nomination. In recent times, losing candidates have even released their delegates to vote for the winner, adding to the sense of party unity. 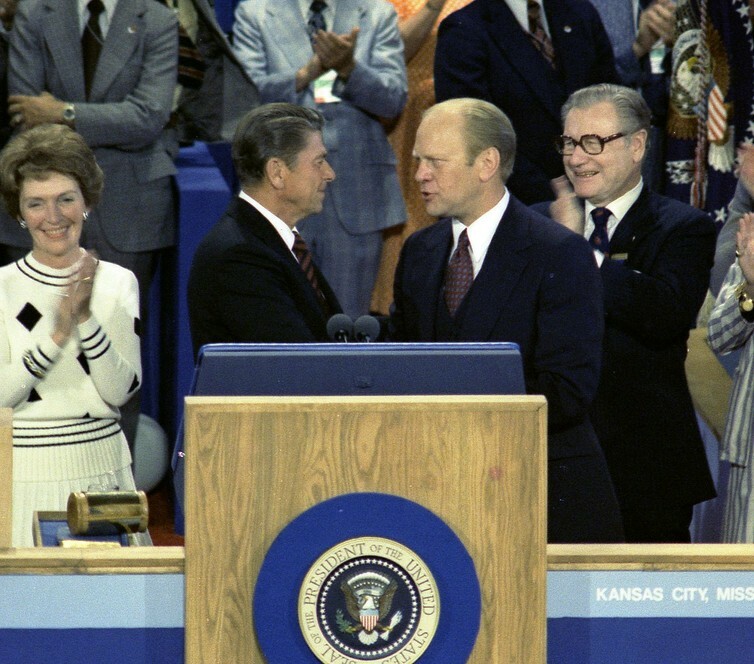 The last time a major party convention began without certainty as to the nominee was the Republican Party gathering in Kansas City in 1976, when incumbent president Gerald Ford, having received more delegates and votes in primaries, was close enough to need to wrangle uncommitted delegates to his side to narrowly see off his challenger Ronald Reagan. Republican Party’s contested convention in 1976 when Gerald Ford beat Ronald Reagan to the nomination. Eight years before, in Chicago in 1968, the Democratic Party set the high-water mark for rancorous convention argument in modern times, when the pro-Vietnam-War candidate Hubert Humphrey secured the nomination over anti-war Eugene McCarthy despite not having competed in any primaries, while police clashed violently with demonstrators in the streets outside the venue. That took place, however, while most convention delegates were still effectively selected by local party leaders rather than by popular vote. Indeed, dissatisfaction among Democrats with the events of 1968 was what prompted rapid reform towards the current primary system. In both 1968 and 1976, however, although there was some manoeuvring in advance of the first ballot to ensure a winning total for the nominee, a single ballot was all that was required to identify a winner. The Republican contest of 2016, on the other hand, promises something not seen since the Democratic convention of 1952 when incumbent president Harry S Truman declined to run for a second term: voting for the nominee that goes beyond the first ballot. This would see candidates fighting for the nomination over a sequence of ballots, working between each vote to win over new delegates to their cause. Under ordinary circumstances, the chances of a small shortfall in delegates displacing a very clear frontrunner would be small. Even if the leading candidate fell short of the 1,237 pledged delegates required for a certain win on the first ballot, it would be likely that they could negotiate with less successful candidates for support, or appeal to the small number of unpledged delegates, and put themselves over the top before voting started. 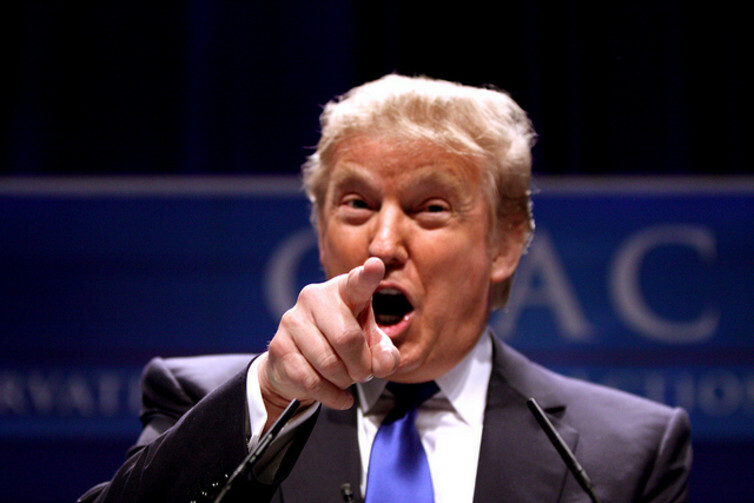 But 2016 is an exceptional year, because the Republican frontrunner is Donald Trump. An abrasive businessman and reality TV star, Trump has no history of elected office or role in the Republican Party. He is regarded with horror by both establishment moderates and ideological conservatives because of his changeable policy views and inflammatory vulgarity. He also has unprecedentedly high disapproval ratings for a national candidate among the general public. Many Republicans justifiably fear for the party’s prospects across all elections this cycle if he were to lead the ticket. For these reasons, if Trump fails to secure enough delegates to win the nomination on the first ballot, he is thought far less likely to receive increased support on subsequent ballots. This is the strategy of his remaining primary opponents, Texas’s junior senator, Ted Cruz and the governor of Ohio, John Kasich (explicitly in the latter case): to continue to compete precisely with the aim of denying Trump that first-ballot majority, and then to peel off delegates at the convention to defeat him in subsequent ballots. This is possible because, once they have done their duty on the first ballot, all bound delegates are released to vote as they see fit, if not immediately in round two then swiftly thereafter. To see why this strategy might work, it is important to understand one key factor: the actual delegates themselves. The people who attend the convention are not necessarily personal supporters of the candidate they are bound to represent in that first ballot. They are usually committed, longtime party activists selected by the states and districts. Since Trump is an outsider to the party, who appeals primarily to voters who feel disgruntled and excluded by the political process, he is unlikely to have many natural supporters among such delegates. This has led several informed analysts, such as Nate Silver, to conclude that Donald Trump needs a first-ballot victory to prevail at the convention. If the convention is contested, the most likely beneficiary is the candidate in second place: Ted Cruz. Cruz is precisely the sort of conservative figure, well-networked among a wide tranche of the Republican base, who is likely to be favoured by newly unbound delegates. But there is also an outside possibility that once the contest has moved into later ballots an entirely new figure could be nominated as a “compromise” candidate, such as the speaker of the House of Representatives, Paul Ryan. But this would risk considerable discontent among Republican voters who would be asked to accept a candidate imposed by the party who had not been presented to them during the year-long multi-candidate primary process. Whether the finally victorious presidential nominee turned out to be Cruz or anyone else, the dreaded uncertainty hanging over a convention that went in this direction is how Trump and his supporters – who have cultivated a febrile and sporadically violent atmosphere at campaign rallies over recent weeks – would react to his being denied the nomination even after winning the largest single share of votes and delegates. If they reacted with anger – and if Trump were disinclined to play peacemaker – then the Cleveland convention could be the most volatile since Chicago ’68.